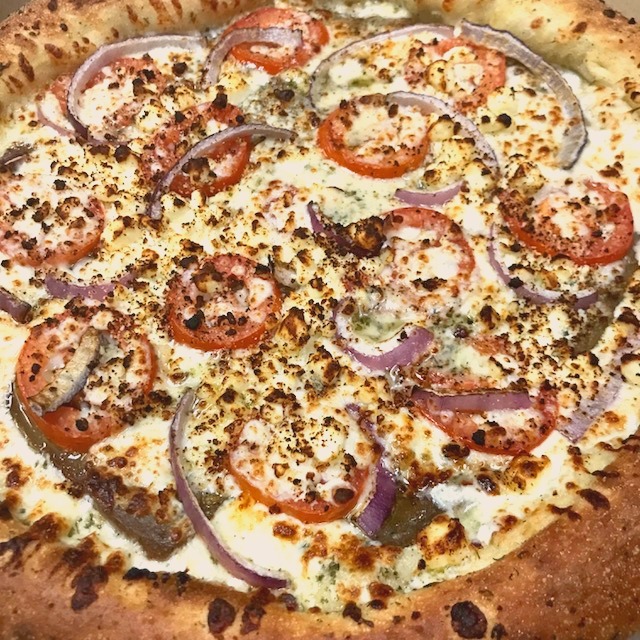 The Pizza of the Month is back for the month of April. 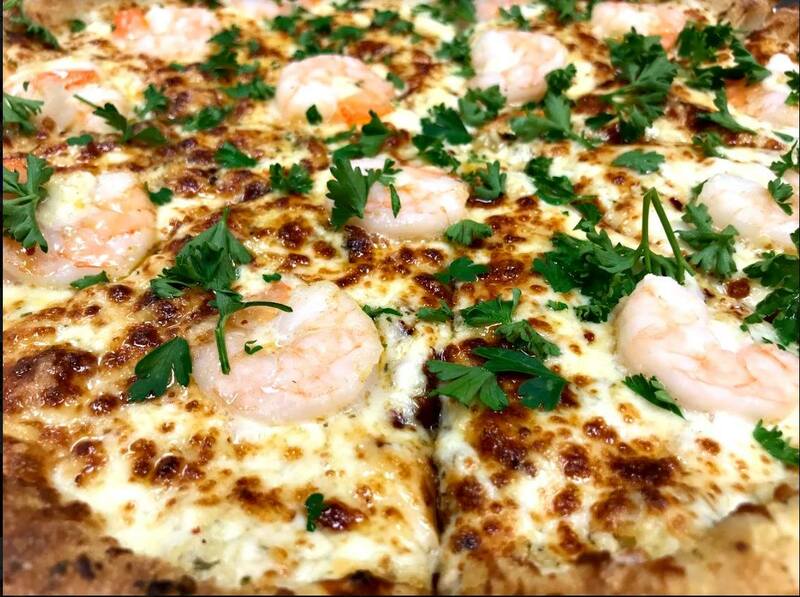 We are bringing back the Shrimp Scampi Pizza. On a Garlic Butter Base, Red Pepper Flakes, Jumbo Shrimp, Minced Garlic, Mozzarella & Parmesan Cheese, Finished with Fresh Parsley. A Large For Only $17.99!! Pepperoni, Canadian bacon, salami, Italian sausage, onions, black olives, mushrooms, green peppers & extra cheese. 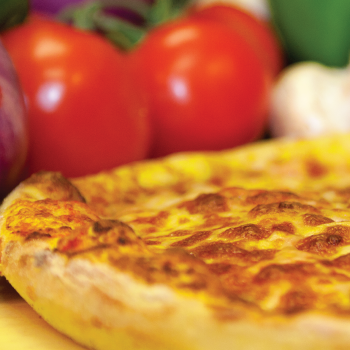 Choose the Size, Crust, Sauce, Cheese and Toppings. 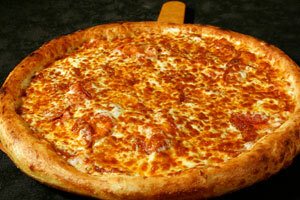 Mozzarella and marinara Sauce are included standard on every pizza. Pepperoni, Italian sausage, mushrooms, green peppers & black olives. Pepperoni, Canadian bacon, salami, lean beef & Italian sausage. Green peppers, mushrooms, onions, roma tomatoes and black olives. Marinara sauce, Canadian bacon, pineapple, mandarin oranges, sliced almonds & coconut. Canadian bacon, pineapple, sun-dried tomatoes, onions & parmesan cheese. 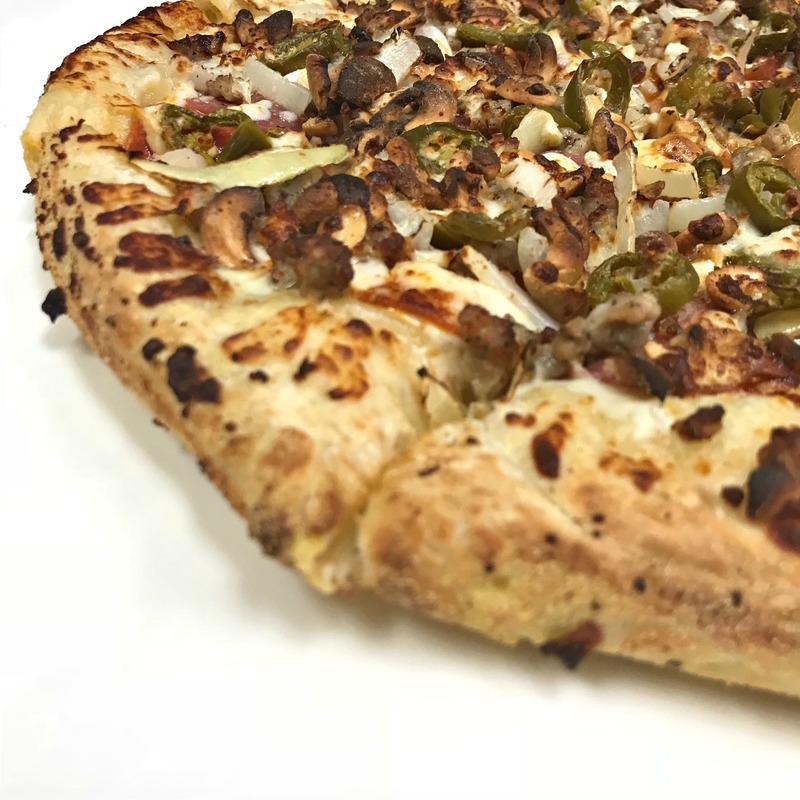 Pepperoni, salami, Italian sausage, onions, cashews & jalapenos. Pesto sauce, artichoke hearts, garlic, sun-dried tomatoes, feta cheese & black olives. Tzatziki sauce, zucchini, red onions, roma tomatoes, spinach, artichoke hearts, & garlic. Peanut sauce, grilled chicken, peanuts, mushrooms, red onions, spinach, red pepper flakes & garlic. ***This pizza is not gluten-free due to the sauce. 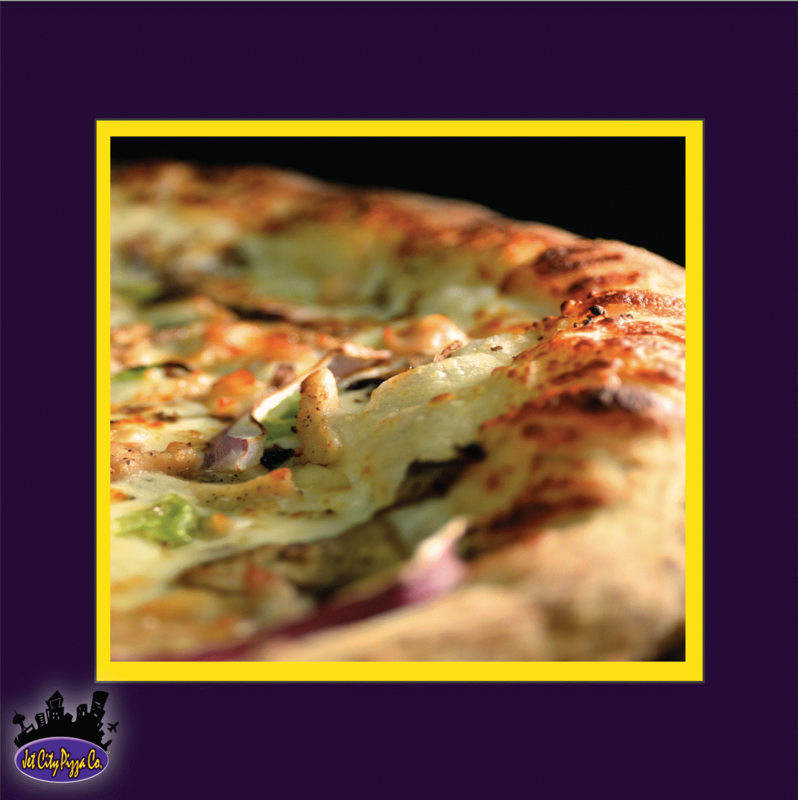 White garlic sauce, grilled chicken, mushrooms, chopped garlic, green peppers & red onions. ***This pizza is not gluten-free due to the sauce. BBQ sauce, grilled chicken strips, mushrooms, red onions & green peppers. Chipotle Ranch Sauce, Chicken, Bacon, Red Onion, Roma Tomatoes, Cheddar & Mozzarella Cheese. 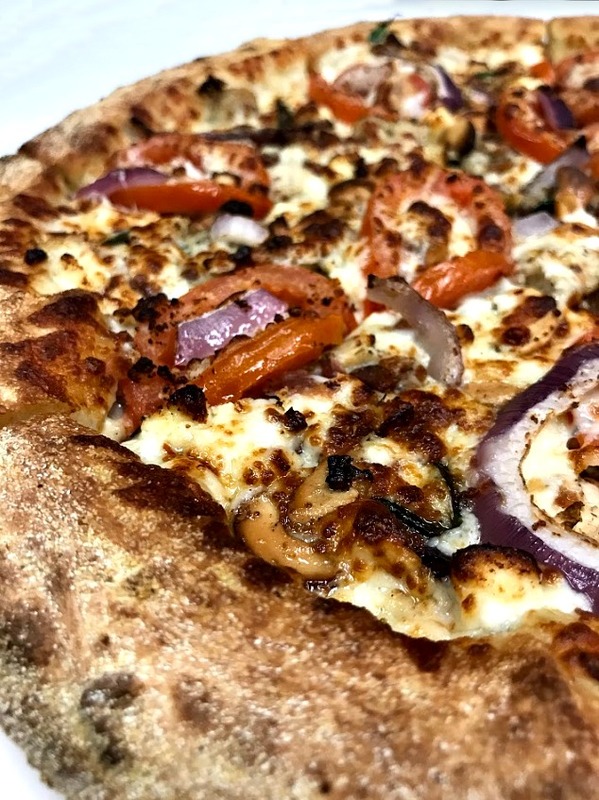 Ranch Sauce, Chicken, Bacon, Roma Tomatoes, Red Onion, Mozzarella & Cheddar Cheese. Sweet Baby Ray's BBQ Sauce, Bacon, Red Onion, Pineapple, Jalapeno, Mozzarella Cheese & Finished with Frank's Red Hot Sauce. 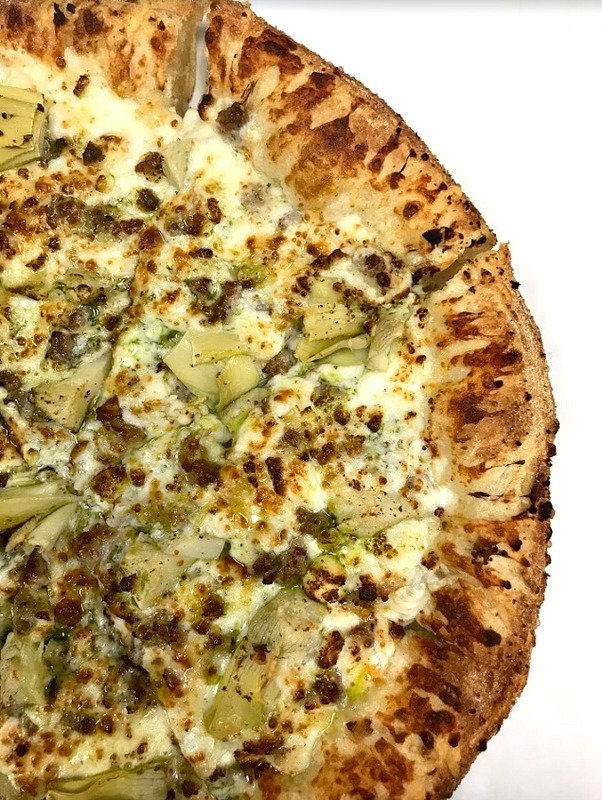 Pesto Sauce, Minced Garlic, Italian Sausage, Artichoke Hearts, Mozzarella, Feta & Parmesan Cheese. Olive Oil, Chicken, Bacon, Red Onion, Minced Garlic, Spinach, Roma Tomatoes, Cashews, Red Pepper Flakes, basil oregano, Feta & Mozzarella Cheese.